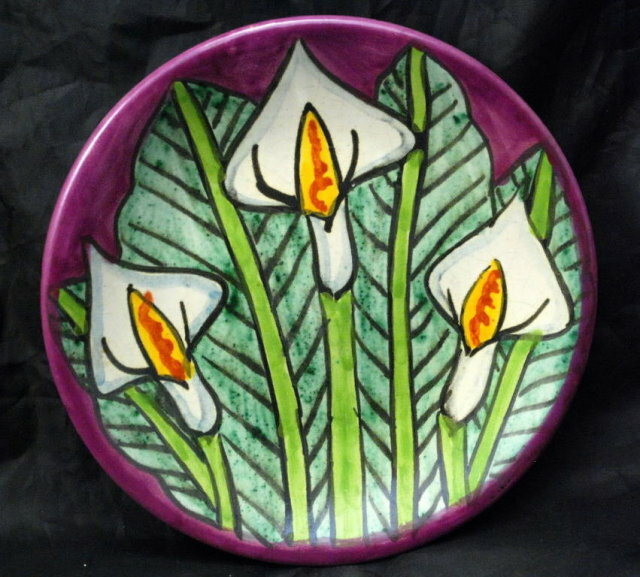 Talavera Calla Lily Mexican Pottery, Hand Painted & Signed T. Ruth Mex. It is beautiful folk art pottery plate to hang on your wall. The white lilies with green foliage is painted on a vibrant purple back ground. 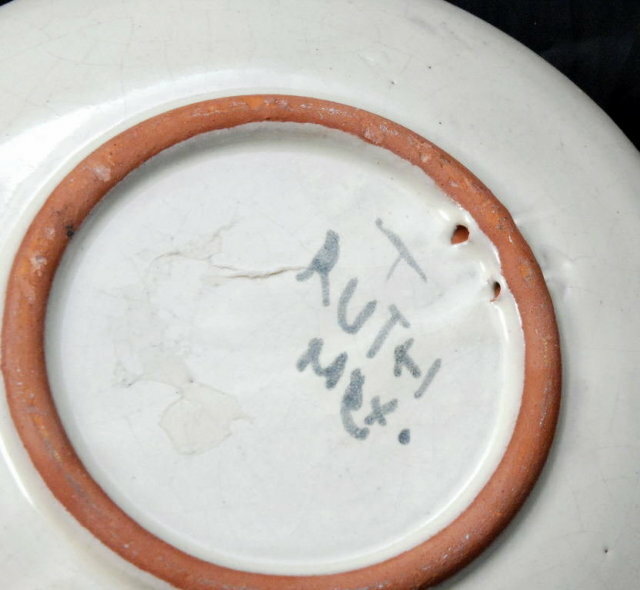 It measures 6.25" across. There are two holes in the rim ring base to run a wire through for hanging. I have had many of these wonderful hand painted Mexican art signed by same artist and all have sold out fast! 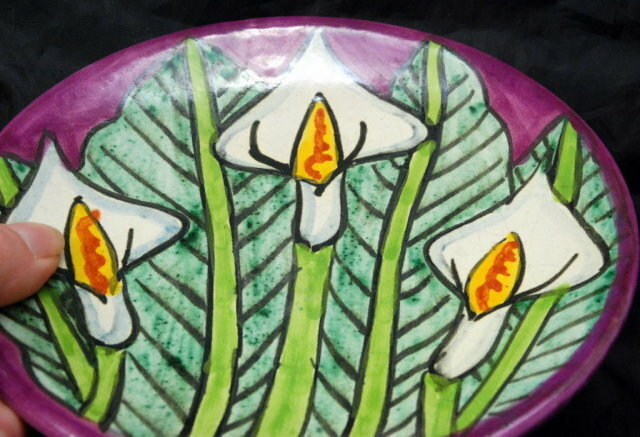 Items Similar To "Talavera Calla Lily Mexican Pottery, Hand Painted & Signed T. Ru..."